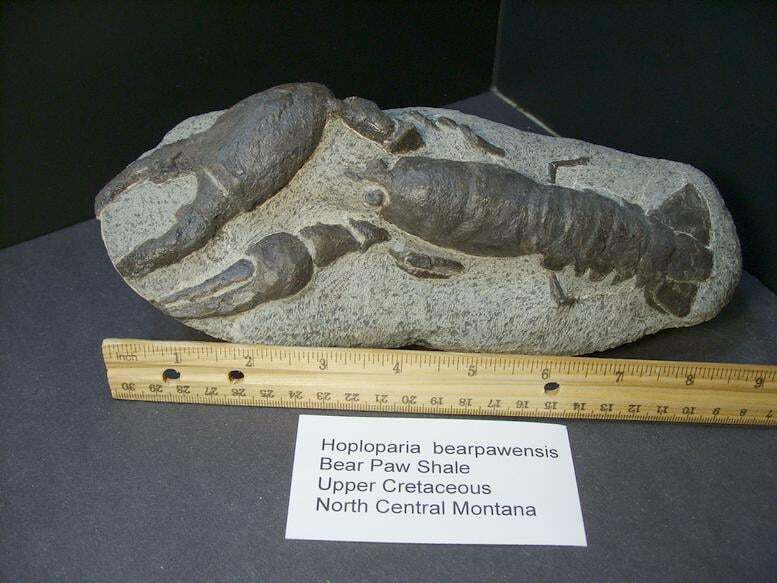 There was an abundance of sea life at this time period in the Bear paw Shale region now known as North/Central Montana. 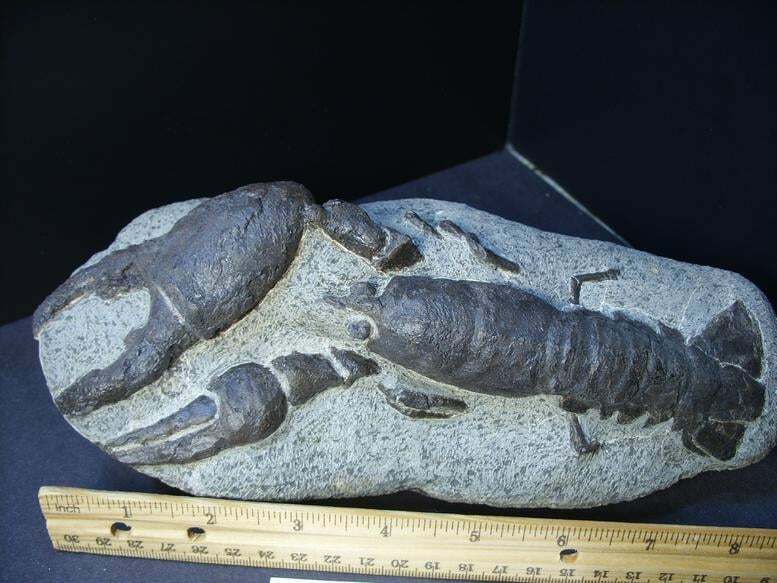 But one of the rarest fossils found is the Lobster. These are found in the hard concretions and have to be carefully prepared to keep from damaging the many arms and claws. 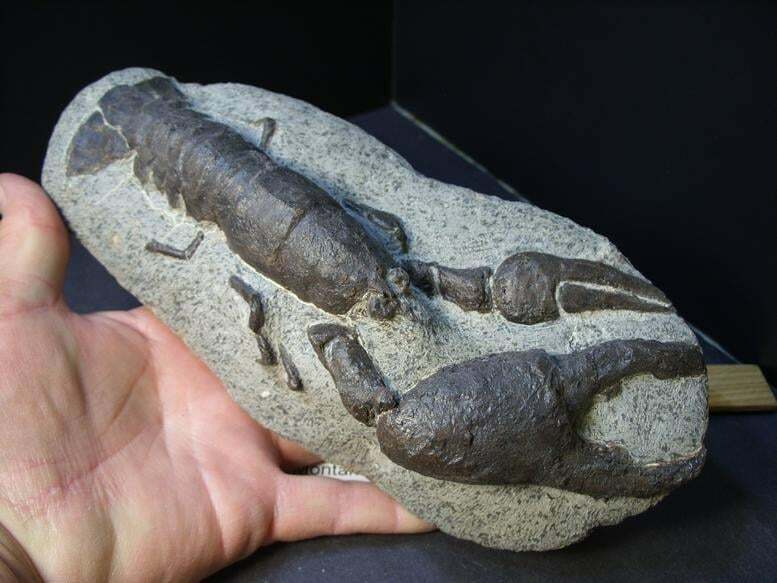 These specimens are very complete and highly prized by collectors.